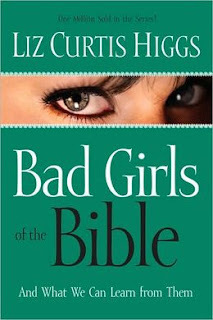 SUMMARY : Author and speaker Liz Curtis Higgs brings her best-selling book Bad Girls of the Bible to vibrant life in this funny, fast-paced hour with ten of the Bible s most infamous females and one enthusiastic audience. Meet Bad-to-the-Bone Jezebel and Bad-for-a-Moment Lot s wife. Share a rebellious snack with Eve and a delicious drink of water with the woman at the well. Toss out a red cord with redeemed Rahab, and snip a new do with Delilah. Learn lessons from Sapphira, Michal, and Potiphar s wife on what not to do, while the sinful woman who anointed the feet of Jesus sheds timeless tears that still touch hearts today. Hundreds of women gathered to hear the Good News of God s grace from author, speaker, and Encourager . Liz Curtis Higgs. Come join the fun! A ray of hope for women. Puts the Bad Girls in a whole new light! Liz was right there with me looking me in the eye, holding my hand, and walking me through God s Word. 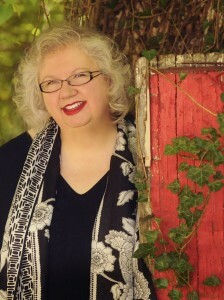 Liz Curtis Higgs has a way of making the Bible come alive. These vignettes of the "bad women" of the Bible are priceless. If you, like I, have always thought the good women have been highlighted such that we could never stand up to them, you'll love this book. Some of these women actually fall as short as I have! I've always wondered why women like Rahab the harlot and Lot's wife should be included as so important in the scheme of things in biblical history, for instance. Ms Higgs shines a bright light on their lives as well as the lives of 8 other spiritually bereft and naughty women to help us learn lessons about ourselves. This book is specifically about the original wayward lives of select women and how God's intervention worked for good and for bad in them. Each chapter involves a current/contemporary story of a woman who's caught up in a similar situation to God's notorious women, and how we can learn from their situations as well as those women of the bible. Ms Higgs writes well, and her stories flow as if they are pulled from contemporary real life. Her characters could be every woman...they could be us. At the end of each chapter are probing questions that lead us to think about how we can relate to the situations in our own lives. Liz Higgs knows women well, and she is blessed with a way to convey the Bible and God's wisdom to women today so that it's heartfelt and applicable. This book is one that is helpful and instructive as well as a joy to read! A great book for a women's book group. I found "Bad Girls of the Bible And What We Can Learn From Them" a wonderful addition to my library of inspirational books. I plan to spend time going over certain chapters again in the new year. This is a book that will continue to provide wise guidelines for living and loving. It's a book that shares the healing power of God's love.